Described by critics as a “Trad Music Supergroup” ZoDoMo is the latest highly acclaimed traditional Irish group to step into the limelight. The trio features three of Ireland’s eminent musicians. 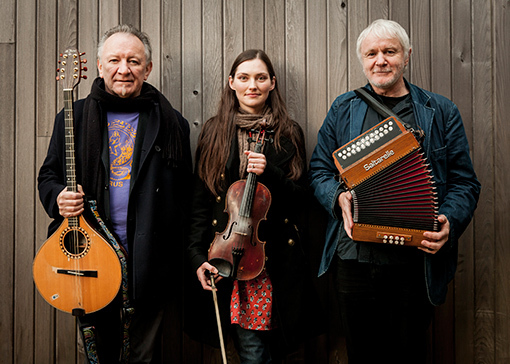 Zoe Conway, one of the country’s most gifted virtuoso musicians, Donal Lunny, popularly regarded as being central to the renaissance of Irish music over the past three decades and Mairtín O’Connor, a master musician whose dexterity and innovation have won him worldwide acclaim.